Dreams are secret messages from your soul as well as from the realm of spirit. They can be your greatest tool for understanding your life, yet few people recognise how to access this tremendous source of guidance and wisdom. Best-selling author Denise Linn brings you simple ways to help you shape your nocturnal travels for spiritual transformation. This comprehensive work uncovers the power of dreams, enabling you to remember your dreams and recognize their meaning, hear personal messages from the spirit realm, develop the skill of astral projection, heal yourself and your loved ones, meet your guides and angels, explore past lives, and learn how to have prophetic dreams. Denise Linn, healer and author of Sacred Space and The Secret Language of Signs, calls upon her Cherokee heritage and her knowledge of native cultures around the world to present little-known information regarding dreams. 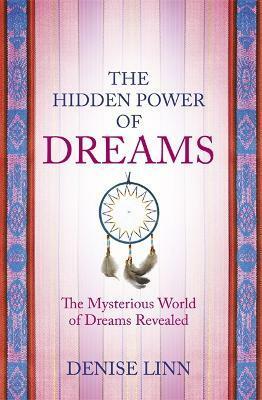 In The Hidden Power of Dreams she presents simple ways to utilize dreams and dreaming for spiritual transformation. Denise herself has journeyed into the space between two worlds through a near-death experience, and has brought back invaluable perceptions from the amazing realm of dreams. Best-selling author Denise Linn calls upon her native heritage and her knowledge of diverse cultures to present little-known information about the world of dreams. In this fascinating book, she brings you simple ways to utilize your nocturnal travels for spiritual transformation. Denise herself has journeyed into the space between two worlds through a near-death experience and has brought back invaluable perceptions that she shares within these pages. There's also a complete dream dictionary featuring the most prevalent dream symbols and how to interpret them! Denise Linn, the best-selling author of 16 books, including Sacred Space and Soul Coaching, has researched healing traditions from cultures around the world for more than 35 years. As a renowned lecturer, author, and visionary, she regularly gives seminars on six continents, and also appears extensively on television and radio shows. Denise Linn is the best-selling author of 17 books, including Sacred Space and Soul Coaching, and has researched healing traditions from cultures around the world for more than 30 years. As a renowned lecturer, author, and visionary, she regularly travels the world giving workshops and lectures, and also appears extensively on television and radio shows in the US.